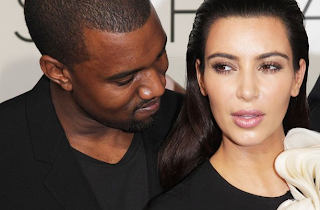 Kris Jenner confirms Kim and Kanye are planning a huge wedding. Better call a wedding planner! Kim Kardashian and her fiancé, Kanye West, are starting to plan their wedding, and the reality star's mom, Kris Jenner, tells PEOPLE it's going to be big. "We have a pretty big family," she told PEOPLE at her #cirocthenewyear pledge party at L.A.'s Mixology 101 on Tuesday. "I don't think it will be two people in a chapel, if you know what I mean!" Jenner wouldn't reveal if the couple – who got engaged at a San Francisco stadium in October – have set a wedding date but says "hopefully it will be soon." Actually, Kris Jenner is the one planning a huge wedding. Kim and Koonye are just going along with whatever their pimp master tells them to do. A lovely present to this clan would be NO ONE TUNES IN TO WATCH THIS MESS. U would think that by the third marriage, people would do things a little more low key. Guess not.